HARRISONBURG, Va. (AP) — A federal judge has refused to postpone a hearing in a lawsuit brought by developers seeking possession of land in several Virginia counties for a controversial pipeline project. 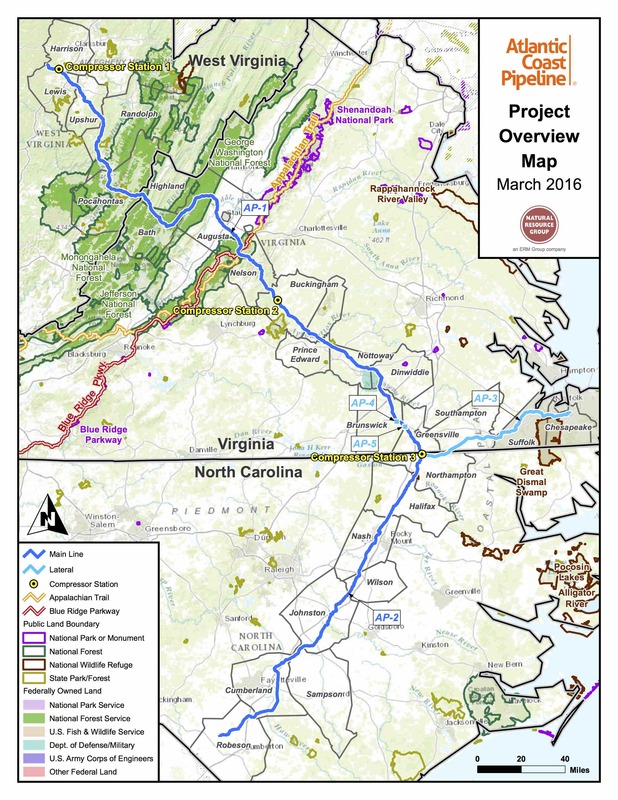 Atlantic Coast Pipeline is seeking possession of several properties in Augusta, Bath, Buckingham and Cumberland counties for the natural gas pipeline, which would run through West Virginia, Virginia and North Carolina. The judge declined Monday to postpone a Feb. 26 hearing regarding land in Bath County, but he ordered developers to turn over more information and gave property owners more time to respond. Disputes over land in other counties also will be addressed at next Monday’s hearing. Developers say federal environmental regulations require completion of any tree felling by March 14, and that missing that deadline would push back construction until November.